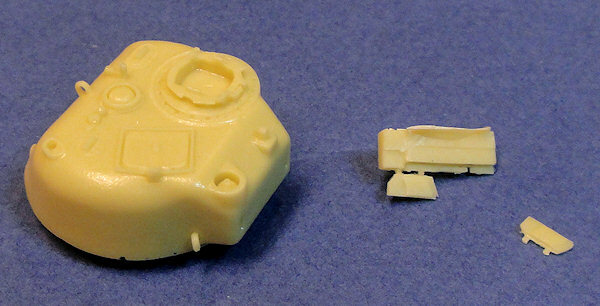 As far as I know, the only other Firefly turret available to us with the late, Mk.II cupola is from Leva, and I believe is now out of production. So this new turret set is highly welcome. Given the photo eveidence, it was not a very common turret and in fact, some of my Firefly references don't even make mention of it at all. However, several of the popular marking options for Polish Fireflies, such as Rycerz and Trzyniec, were equipped with this cupola, so I'm glad I bought this set. You can see in the scan below that there are several air holes in the turret roof that will need to be filled. 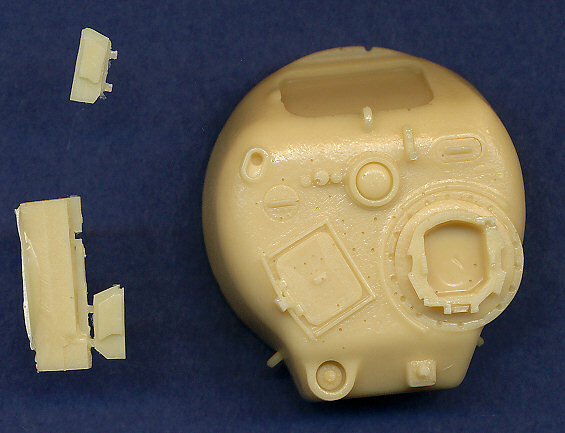 This is unusual for Modell Trans, which usually has an impecable casting technique.